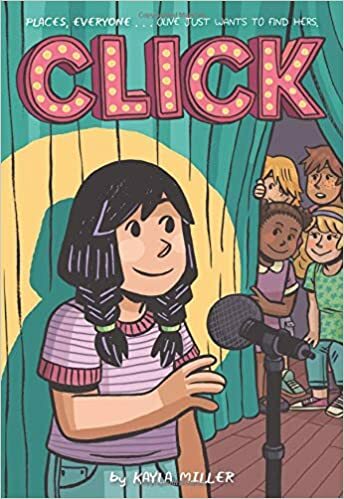 Summary: Even though Olive has plenty of friends, she doesn’t have a best friend, and when the fifth grade variety show comes around, she finds herself without a group to perform with. She’s pretty bummed, so her cool Aunt Molly invites her for a sleepover, then rounds up a bunch of DVD’s of old 1960’s variety shows to inspire her. Olive is captivated by the show’s host, and decides that’s the role she wants for the school program. It’s a perfect fit–she’s something of a ham, and she knows kids from all different groups. When a few of her friends finally invite her to join their group, she’s torn, but decides to stay true to what she really wants. The final page shows her the night of the show, standing in front of the microphone, with the spotlight shining on her, ready to go. The last page invites readers to look for Olive’s next adventures at camp, which looks like it will be coming out in April. 192 pages; grades 2-5. 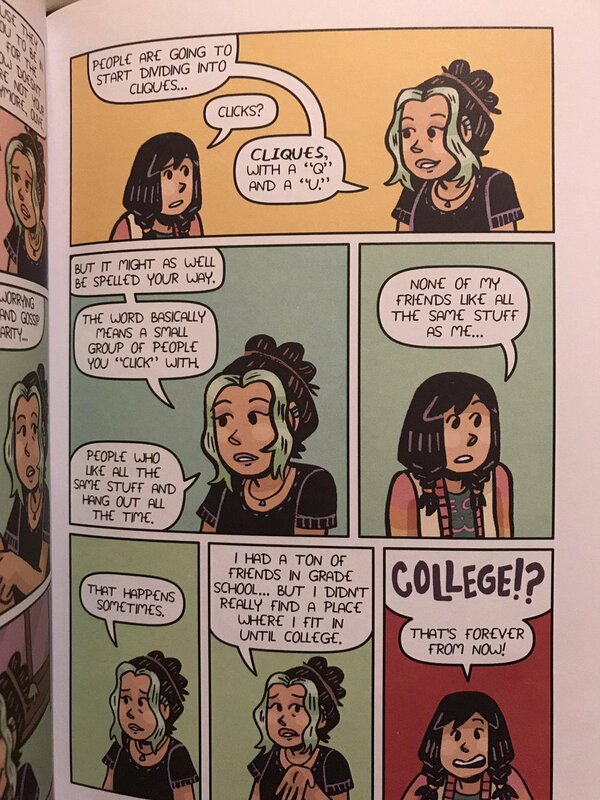 Pros: Fans of Raina Telgemeier, Victoria Jamieson, and Shannon Hale will enjoy the addition of another realistic graphic novel with a girl main character. Olive seems like a kid everyone likes, yet even she struggles with friend problems. This would make a good intro to the genre, as it’s a little shorter and simpler than some of the others. Cons: There’s not the rich character and plot development of the authors mentioned above. Fifth and sixth graders may find this a little too short and simple for their taste.